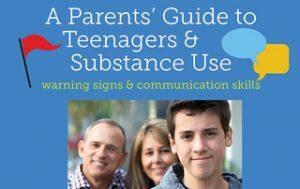 What are some of the most effective ways to keep our kids from using alcohol or other drugs? What are some of the signs that they might be drinking or trying drugs? Have you ever had the most amazing talk with your son or daughter about healthy choices, and a week later you wonder if they heard anything you said? There are important biological reasons that our kids take risks. We’ll talk about how as parents, we can help to shape our kids’ choices and behaviors, and raise successful young adults.